It is hard to believe that Thanksgiving is this weekend! What a lovely time of year! Enjoy the changing colours, the cooler temperatures and take the time to celebrate with Family and friends! 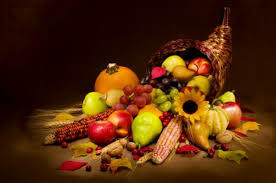 Happy Thanksgiving from all of us at Strands Salon and Spa!